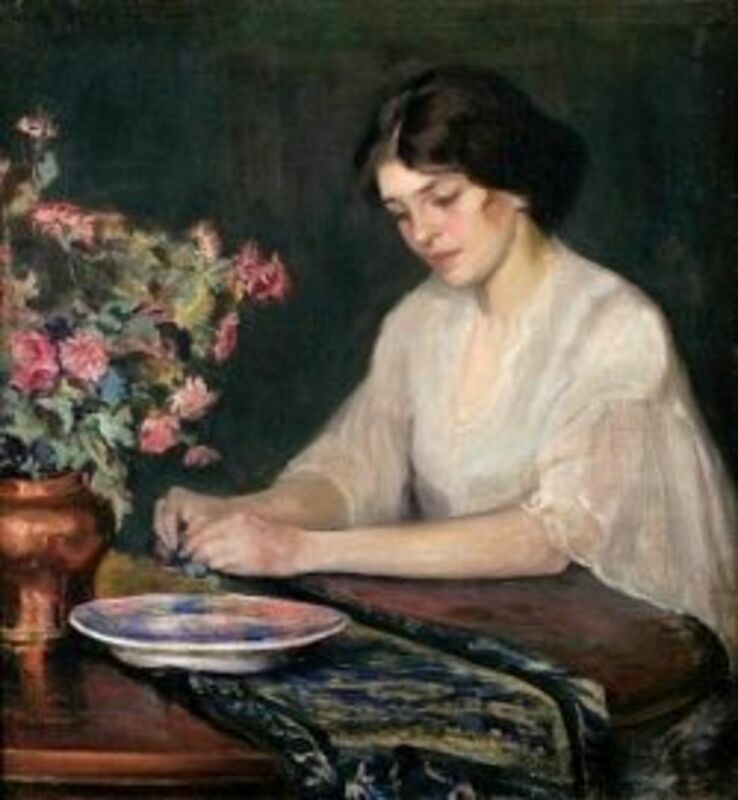 I have been fascinated by Marguerite Stuber Pearson's story since I was an art history major. After many years of studying her work and living with her art, I can truly say this woman was remarkable. Born in 1898 in Philadelphia, Pennsylvania, the same city where I was born, Pearson, just like me, was an only child. Of course, we part ways quickly, since Pearson had artistic talent and a desire to be a musician. Pearson's parents encouraged her musical talent. and she soon showed great promise of someday becoming a concert pianist. Her dreams and her family's hopes for their daughter's future ended abruptly when at age sixteen, while on a vacation in Maine, she contracted polio. This is a story of how despair can be turned into hope and how a young girl's dreams of becoming a musician are altered and changed to create a great artist. Pearson's illness left her confined to a wheelchair. 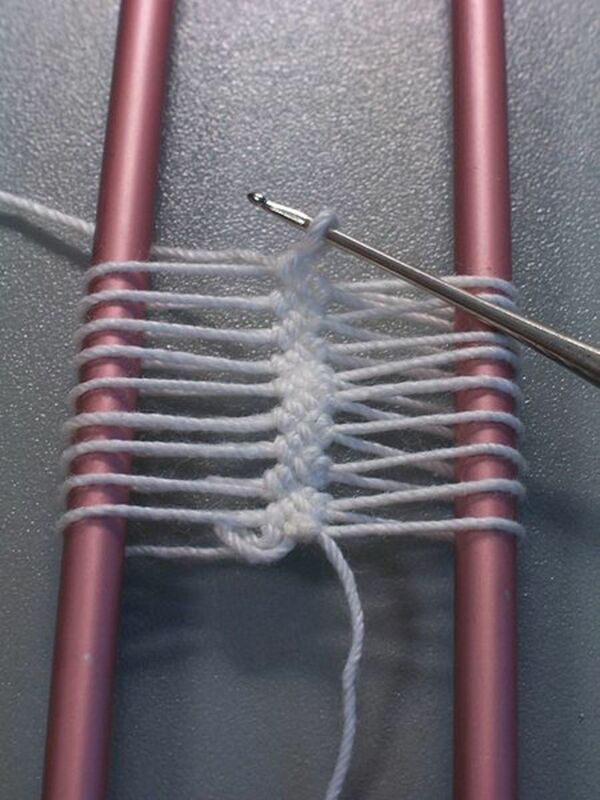 At first her hands were paralyzed, but she later regained partial use of them. After becoming aware of her progress, her parents remembered that their daughter had been interested in drawing as a child. They quickly arranged to have illustrations and pictures brought to her in the hope of rekindling her interest. Their determination worked and Pearson started taking art lessons from a teacher who came to her home. She made such rapid progress that the first teacher was replaced by a professional Boston Museum School painter, and her formal training began. At the age of 22, six years after her paralysis, Pearson enrolled in the Boston Museum School to study drawing and painting. Not satisfied with group classes, she also took private lessons from Edmund Tarbell, the leader of the Boston School, a very important group of impressionist painters. Under the tutelage of Tarbell and the prominent teachers at the Boston Museum School, Pearson blossomed and began to paint what would become her favorite subject - women in interior settings. The painting shown here was created when Pearson was 22 years old during her early studies at the Boston Museum School. Her talent is unmistakable and her ability to paint in the Boston School manner, at such an early time in her training, is astounding. The Boston School painters are first and foremost impressionists, artists interested in loose brushstrokes, the quality of light and the beauty of color. Their paintings are dominated by idealized women in quiet contemplative moods posed in interior settings. 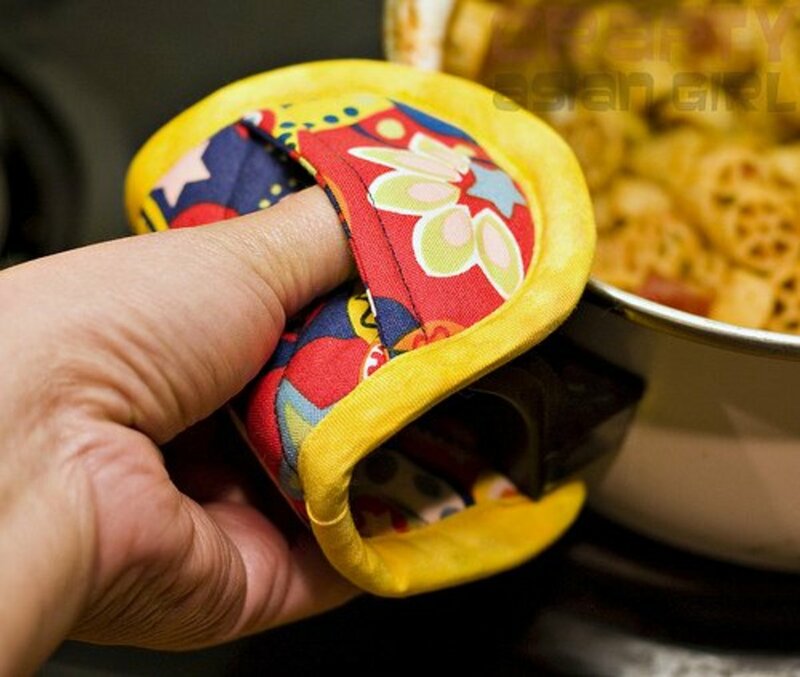 Their women usually read, sew, play a musical instrument, write or perform some domestic chore. There is a fashionable elegance and a sense of serenity and innocence to the women in their paintings. Boston School painters glorified the role of women in and around the home and kept them there even while society and the roles of women were changing outside their studios. Impressionism, with its emphasis on beauty, light and color, was the last of the painting styles that idealized beautiful women whose lives focused exclusively around home and family. It cannot be overlooked that Pearson's choice of women in interiors as subject matter for her paintings could be related to her own personal lifestyle. 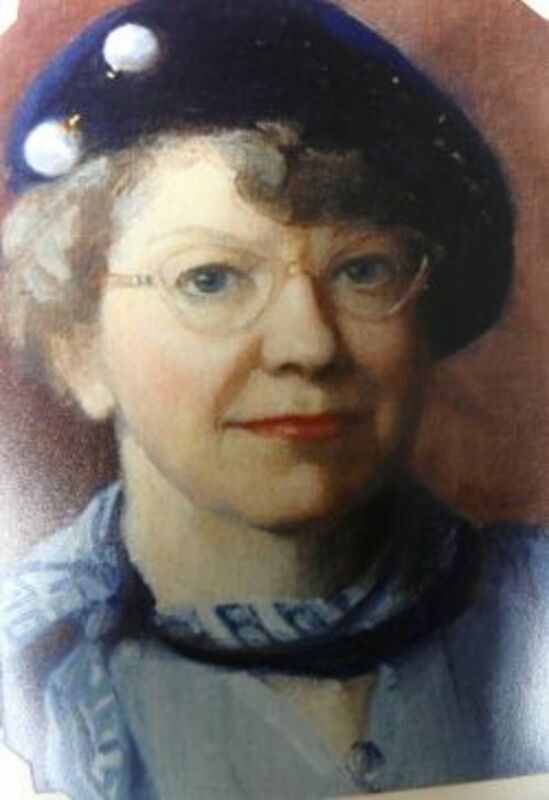 Confined to her home and a wheelchair and unable to leave without assistance, Pearson spent much of her time painting. Art became Pearson's purpose in life, her door to the outside world, and her means to achieve independence. 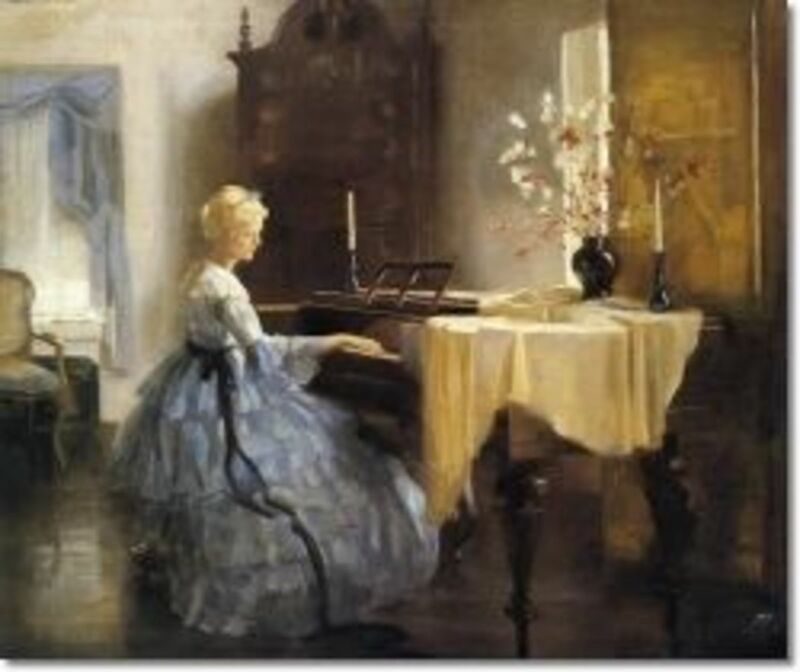 Not only did Pearson paint, in her spare time she also became an avid reader, played the piano and the guitar. She could easily be the woman in her paintings seated on the sofa reading a book, or in front of the piano,or plucking the strings of a guitar. This is a lifestyle that she was familiar with and that she became comfortable painting. Before I get too carried away with Pearson's lifestyle, remember seated woman in an interior setting were also common in the interiors of the Boston School artists. What is important to the understanding of Pearson's art is that her paintings were not only typical of the Boston School tradition, but were also typical of the way she lived. They were idealized portraits of a way of life that Pearson had been able to make for herself. Pearson's paralysis was no longer a handicap but an impetus to pursue a new beginning and explore a new talent. In 1941, Pearson purchased property in Rockport, Massachusetts and by 1942 had built a home and studio on that property. When I was studying Pearson in college, I was fortunate to be able to visit her Rockport home and see exactly how she lived and worked. It was a fascinating experience. Her home was a one story dwelling with large doorways, beautiful gardens and a stairway that led to nowhere. The stairway was used for posing women, when Pearson had the urge to abandon her seated figures to create standing women. This was not a common theme in her art, but she did occasionally paint standing figures. Almost all the paintings of women Pearson created after 1942 were posed in her Rockport home and studio. 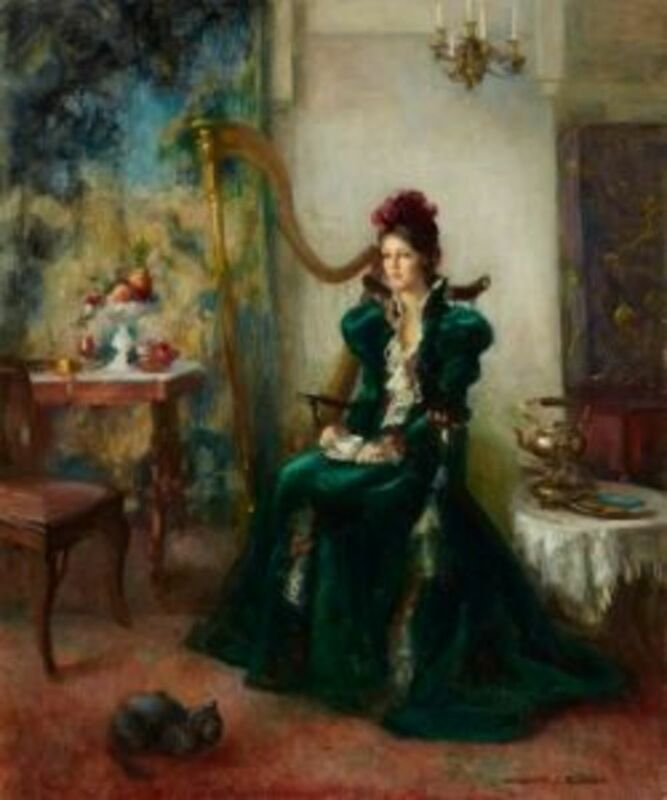 Whether sitting on Pearson's sofa, posing at her piano, seated by her fireplace or relaxing on her enclosed porch, the settings in these paintings depicted the furniture and surroundings that were part of the artist's life. 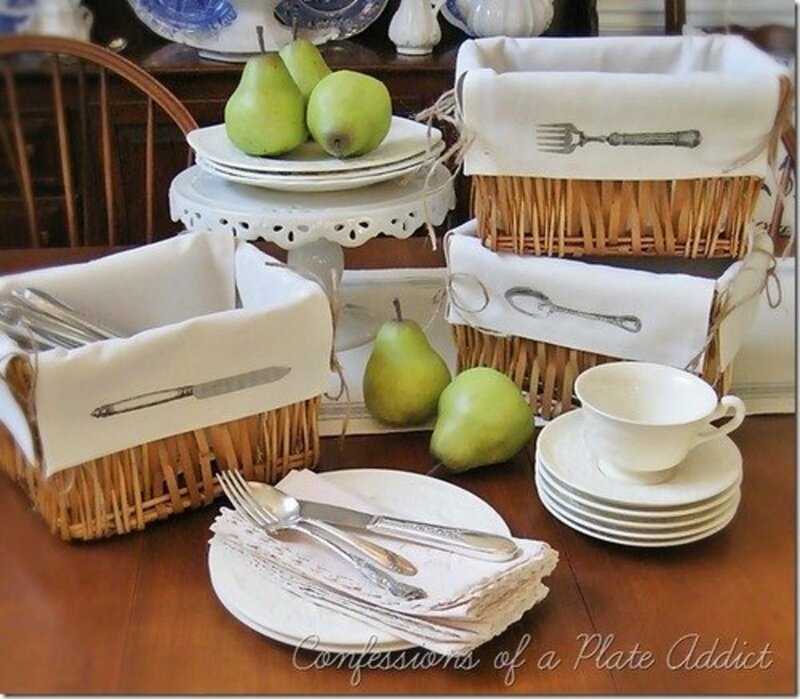 Several years after Pearson moved into her Rockport home, she began to fill her 26 x 28 foot studio with antiques and a tapestry or two that she could use in her paintings. Pearson thought that if she used antiques as painting backgrounds their settings would not go out of style. In keeping with this approach, she dressed many of her models in old costumes that would have been worn during the time the furniture was created. For better or worse these images of the past eventually dominated Pearson's later style. Although her career did not falter and many people purchased her paintings and loved them, as an art historian I have to say it was the beginning of the end of a great era for Pearson's work. Two years later one of Pearson's paintings appeared on the cover of The LIterary Digest. and another was purchased by the City of New Haven, Connecticut. The National Academy of Design in New York gave Pearson a one-woman show in 1934. The first museum to purchase Pearson's art was the Springville Museum of Art in Utah in 1936. At the same time Pearson's interiors attracted the attention of the Pennsylvania Academy of the Fine Arts in Philadelphia, where she was part of their annual exhibition. In 1938 Pearson sold 10,000 prints of Blue Danube, the girl playing the piano pictured here, in America and Europe. Prizes and awards for Pearson's interiors were given on a continuous basis from 1944 to 1978.. There is no question that in Pearson's lifetime her work was acknowledged, exhibited, appreciated and purchased. Many of her achievements occurred during the Great Depression when most artists were supported by the Federal Arts Project. 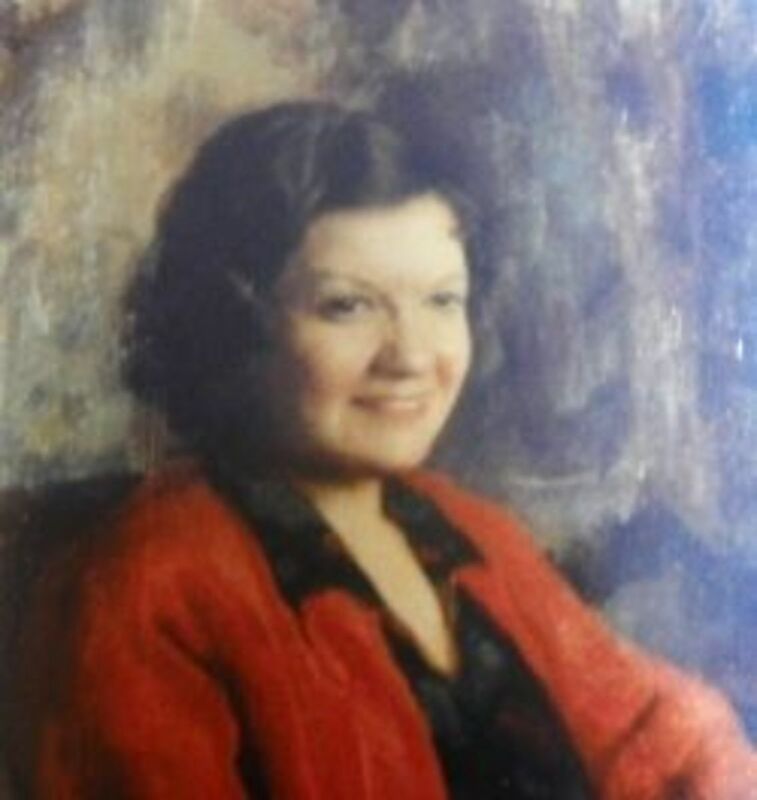 Her greatest champion was the Rockport Art Association to whom she left several of her paintings and her entire archives, including her journals and scrapbooks of almost all her paintings. Pearson's records include the names of the young women in her area who posed for her paintings. Pearson did much more experimentation in her quest for beauty during her early years than she did after she moved to Rockport. Her devotion to a bygone era did not help her art, but instead created what appears to be figural still lifes. Women posed stiffly, some staring into space, in antique settings as if they were part of the furniture. 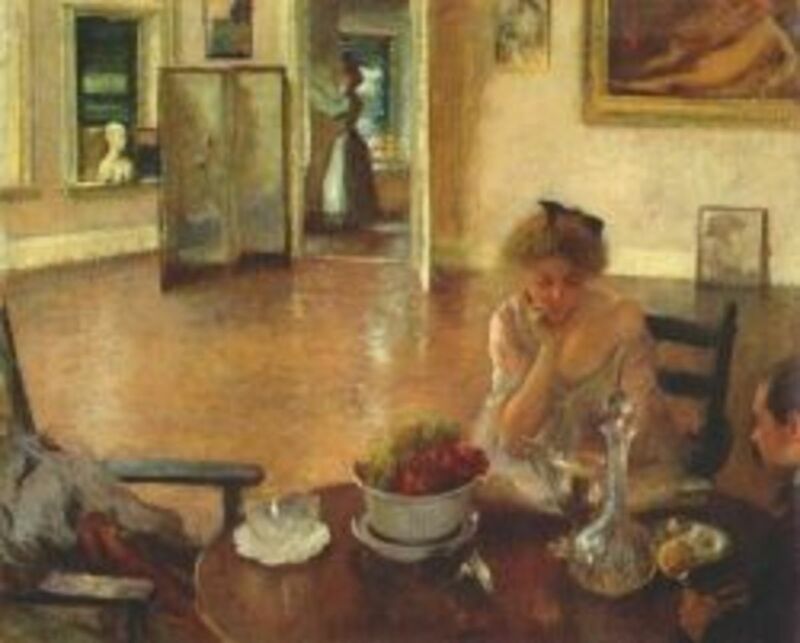 It would be completely unfair to say that Pearson lost her interest in creating the work that made her a great artist, because in the midst of her move toward rigid poses set among antique furniture were paintings of women who exhibited a palpable presence in their comfortable interiors. Her love of sunlight and beautiful women that was so much a part of her Boston School training could still be found in her later art, although sadly not as often. It is her earlier work on which her reputation rests. Despite a career that began because of a handicap, Pearson never let that interfere with her art or her life. As her legacy she left a comprehensive visual record of her triumph that documents her place in the history of American art. Photo: "Self Portrait" by Marguerite Stuber Pearson, about age 55, from the collection of the Rockport Art Association, taken by designsbyharriet. Pearson would never have studied fine art had she not contracted polio. I enjoyed your lens.Thanks for sharing. I admire how Marguerite didn't allow tragedy to end her artistic endeavors. Successfully transitioning from playing the piano to being a great painter obviously took time, dedication and hard work. She is an example for all of us. Thanks for sharing this lens with us. Informative and Useful lens ! Thanks for sharing. That's really cool. Thank you for sharing. The colors in her pictures remind me of the paintings of William Kalwick. I have always been a fan of full length portraits where you can see what the person is doing. I had never heard of this artist until now. Beautiful paintings, and an interesting study of a very talented painter. Informative lens, thanks for sharing. Very interesting lens. I always wondering why paint women in Interior settings! 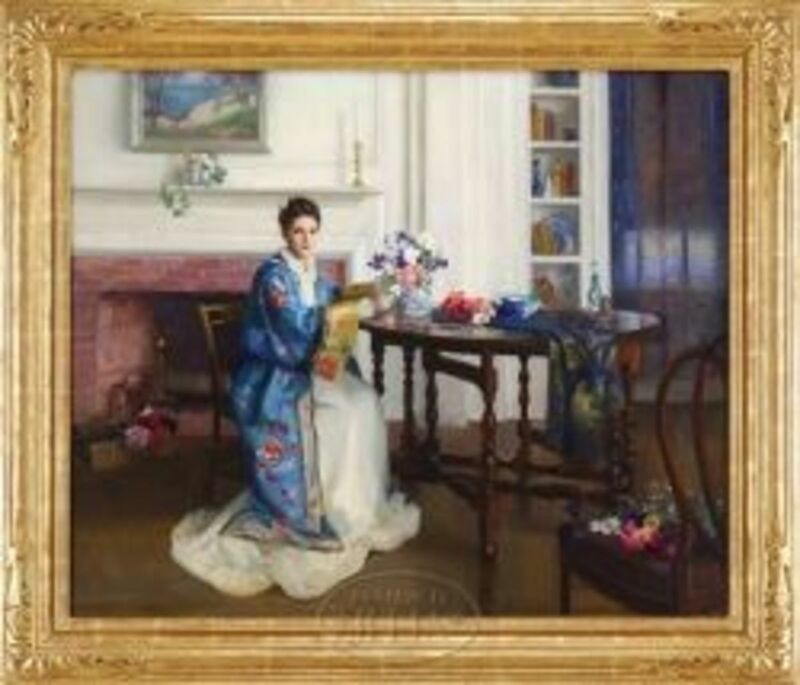 Lovely, thanks for the into to Marguerite Stuber's work. Lovely lens! Thank you for sharing her beautiful work. Greetings from 'the land of eternal spring'! Very beautiful work. 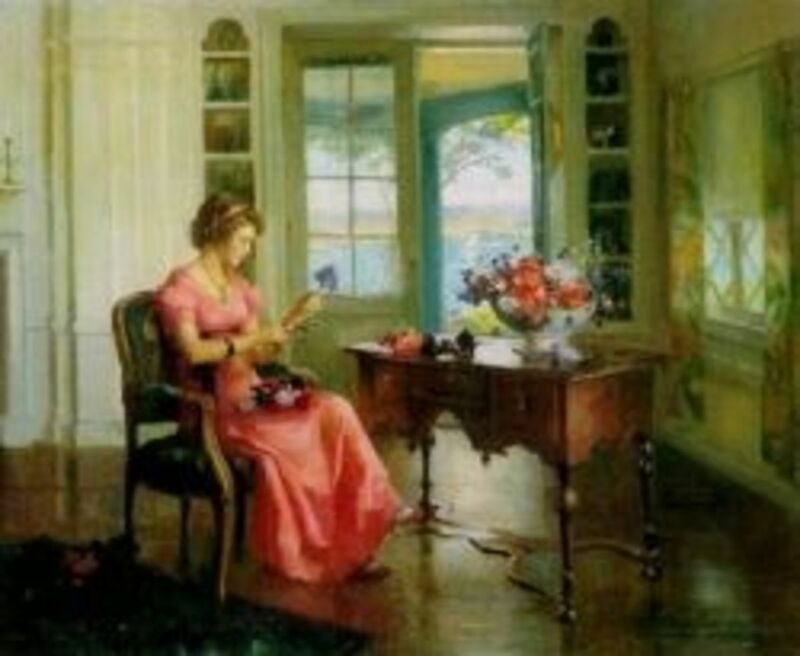 Thank you for introducing me to Marguerite Stuber's paintings. Congrats on the purple star, you deserve it! I knew almost nothing of Marguerite Stuber Pearson. Thanks for teaching me. How very interesting! Thanks for sharing - blessed by a SquidAngel! Very interesting and informative. I knew little about this artist, but I enjoyed learning. Very well done and interesting lens. I really enjoyed reading your lens about Marguerite Stuber Pearson. 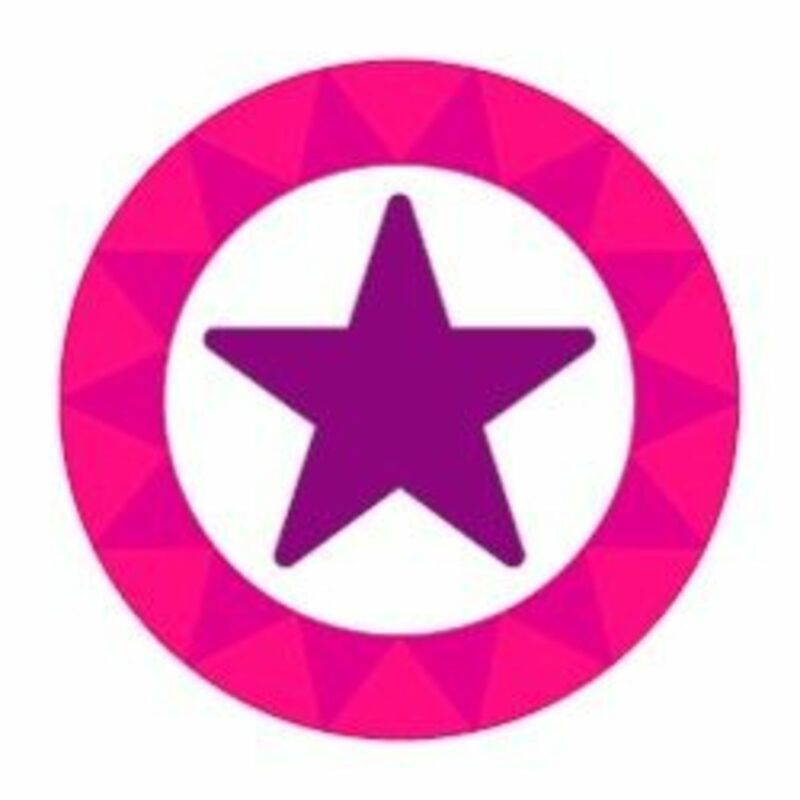 You really deserve the purple star you go for this lens.